Whether for military or civilian applications, the aerospace industry represents major dollars and is an area where no country can afford to fall behind. That alone makes aerospace stocks worth a second look. Unfortunately, October had different ideas not only for this segment but for most other stocks to buy. After enjoying a surge of upside momentum in the second half of this year, the major indices suffered a correction. Over the years, broader enthusiasm was rarely challenged, so last month’s volatility could be viewed as a necessary event. Additionally, now that the heavily anticipated midterm elections are behind us, we can get back to business. President Donald Trump now faces a split government, but that doesn’t mean he’s toothless. One thing we know about the former real-estate mogul is that he loves doubling down. That has positive implications for aerospace stocks. At a time when the world is questioning his resolve post-election season, Trump will be eager to reassert his authority. 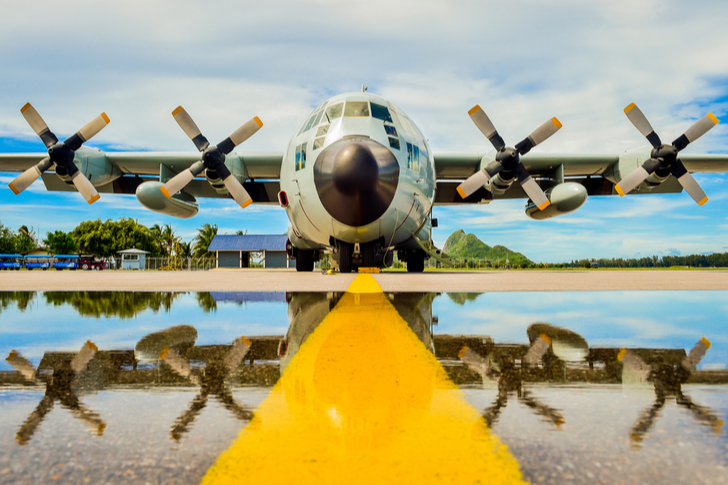 For aerospace stocks levered to the defense sector, the president’s pro-military stance – despite his earlier confusing budget plans – should represent a long-term net positive. On the commercial front, expect the White House to find ways to help facilitate lucrative deals. Trump himself faces possible reelection in two years’ time. To ensure himself another term, he must win over liberal voters. The best way to reach across a contentious fence is filling everyone’s wallets with green. Renowned defense contractor Lockheed Martin (NYSE:LMT) is experiencing an eventful year in 2018. More than once, LMT stock appeared poised to make a breakout move. But all those promising trades have so far ended in naught, with shares down 1% year-to-date. Last month was particularly troubling for LMT stock. The company dropped more than 15% in market value in October, following the benchmark indices lower. But so far this month, LMT has found its winning ways, gaining nearly 6%. 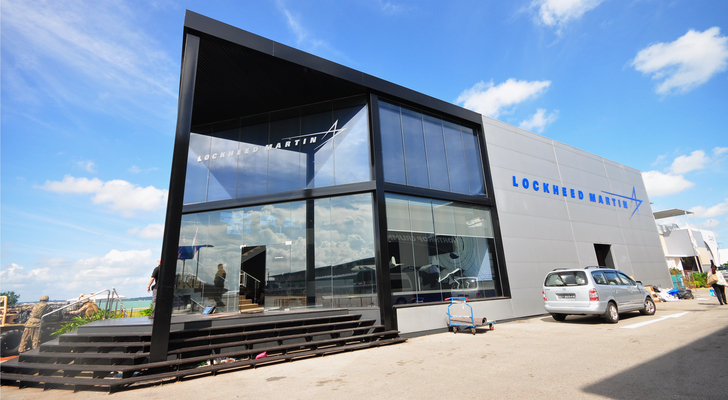 Although aerospace stocks still face a turbulent air, I expect Lockheed Martin to build on this momentum. A key factor in my argument is demand. Even with the Trump administration flexing its muscle, this hasn’t stopped adversaries like North Korea from testing American resolve. Obviously, we can’t go around sparking hot conflicts. But what we can do without creating an international incident is intimidate. Lockheed Martin’s impressive portfolio is a key tool in our diplomatic arsenal, which is why I like LMT stock for the long haul. Not unlike other defense-related aerospace stock, Northrop Grumman (NYSE:NOC) has mostly suffered a sour year in 2018. NOC stock was looking good up until the middle of the spring season. From there, shares have been stuck inside a decidedly bearish trend channel. The markets didn’t take too kindly to the downgrade. Not only is a “hold” a sign of no confidence, but the swift fall from sheer optimism also raised eyebrows. However, I think the markets have punished NOC stock far enough. Such pessimism overlooks the fact that Northrop Grumman put up strong numbers for its most recent earnings report. I’d rather have a proven track record than forecasts on industry fundamentals that may or may not materialize. Similar to Northrop, Textron (NYSE:TXT) is one of the aerospace stocks that crumbled after a poor earnings report. Upon disclosing a top-and-bottom line miss, TXT stock hemorrhaged uncontrollably, losing more than 25% in October. I can’t say that I blame the markets. As our own William White reported, Textron didn’t do itself any favors. The company delivered earnings per share of 61 cents, down from the 65 cents seen in the year-ago quarter. Adding to the woes, Textron rang up $3.2 billion in sales, an 8% drop year-over-year. After Q3, TXT stock tanked 11%. But while the decline was warranted, I view Textron as a buying opportunity. The company features an enviable defense portfolio, particularly its state-of-the-art Bell helicopters. These aircraft complement modern-warfare strategies, which involve surgical strike teams and quick entry and exits. Moreover, Bell offers multiple helicopters for civilian and commercial purposes, including for law-enforcement capacities. It’s the best in the business, which is why you should take a long look at TXT stock. The Marine Corps already give the Air Force a difficult time, insinuating that it’s not a real military unit. I can only imagine what the Marines would say about members of the Space Force. For now, future space cadets can breathe a sigh of relief: President Trump’s pet project isn’t about to launch anytime soon. A tough challenge from the get-go, the Space Force proposal has been virtually axed now that the Democrats control the House. Still, don’t discount Trump’s ability to negotiate. 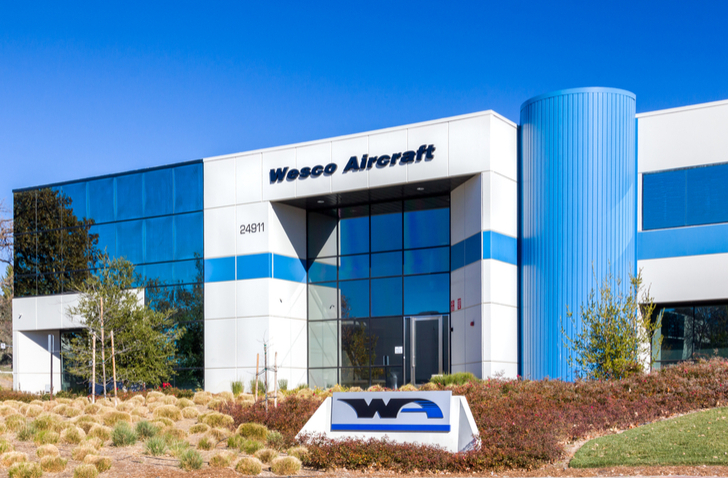 Should the military start a new branch, Wesco Aircraft (NYSE:WAIR) is one of the aerospace stocks to buy. Featuring a broad portfolio that covers every aspect of the industry, WAIR stock also exposes you to other areas, including automotive, healthcare, and energy. Beyond that, WAIR stock is enjoying a very believable recovery effort after years of underperformance. Since the January opener, shares are up 47%. Even if Trump doesn’t get his Space Force, space exploration is still a critical area for our government. Therefore, I’d look into WAIR stock as a long-term play. Aerojet Rocketdyne (NYSE:AJRD) is one of the few aerospace stocks to buy that’s more space than aero. Indeed, as a rocket and missile-propulsion manufacturer, AJRD stock is a direct play into the final frontier. Of course, I liked Aerojet Rocketdyne better when the Republicans still had the House. At least among fellow conservatives, President Trump would stand a better chance to implement his Space Force idea. But as I said previously, even if that concept fails completely, we still need a space presence. Our role in space is borderline embarrassing. For our astronauts to fly to the International Space Station, they must hitch a ride on the Russian Soyuz rocket. That’s a joke in and of itself, but it almost turned deadly last month. Aerojet can do much to reverse this trend, simultaneously providing upside potential for AJRD stock. It’s included in almost every list of aerospace stocks to buy, and for good reason. Boeing (NYSE:BA) encompasses every aspect of the aeronautical industry, from your everyday commercial airliners to advanced military warcraft. As a result, BA stock has developed a steady picture of reliability. This year, shares are up over 27%, an impressive haul for a business stalwart. While the overall ride has been choppy, you can easily tell that Boeing has formed a well-defined bullish trend channel. Despite competitive pressures, I expect BA stock to continue rising. On the commercial end of its business, I’m enthusiastic about the emerging middle class in China and India. True, rival Airbus (OTCMKTS:EADSY) won’t make it easy on Boeing. However, these burgeoning markets are big enough to support both organizations. For the defense sector, Boeing offers a comprehensive package. A perhaps overlooked bullish factor for BA stock is the company’s T-X program. 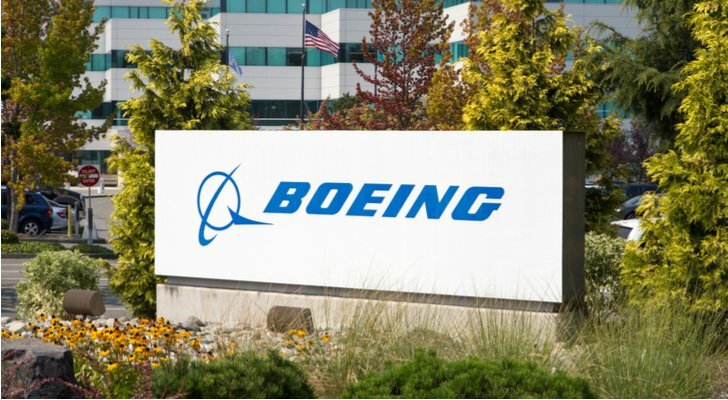 Boeing won a $9.2 billion contract with the Air Force to provide training jets and simulators. This program helps ensure we have the best fighter pilots in the world, indirectly lifting all defense-related aerospace stocks. 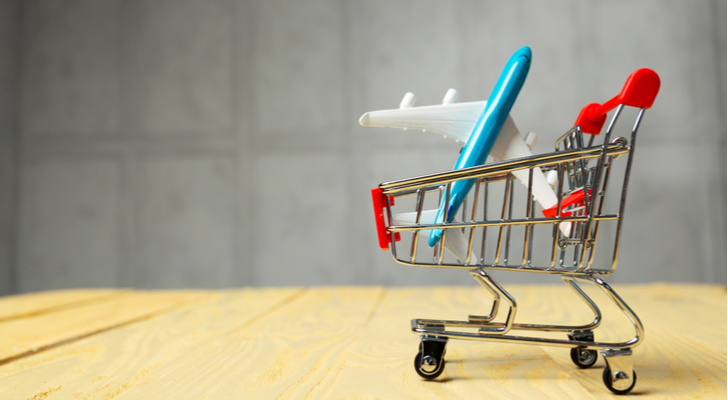 Most articles featuring aerospace stocks to buy invariably focus on aircraft manufacturers. That’s an understandable tendency given that they generate the most attention. However, modern aerospace engineering implements key components from multiple sources. Take TransDigm Group (NYSE:TDG) as an example. As an aerospace-equipment provider, TransDigm works its magic on the most mundane elements – such as safety belts – to the most critical, such as the electronics and hydraulics systems. Essentially, if it flies, it most likely uses TransDigm-engineered components, making TDG stock a worthwhile pick. Another factor boosting the company is its overall stability. Over the trailing five-year period, TDG stock has returned nearly 141%. This year, TransDigm has gained just under 30%. Admittedly, I’m concerned about the company’s recent volatility. Compared to other established aerospace stocks, TDG stock has, in my opinion, more risk. But if shares do fall, I like my chances of going contrarian. TransDigm levers too much of a broad portfolio to ignore. Article printed from InvestorPlace Media, https://investorplace.com/2018/11/7-aerospace-stocks-to-buy-that-were-previously-grounded/.